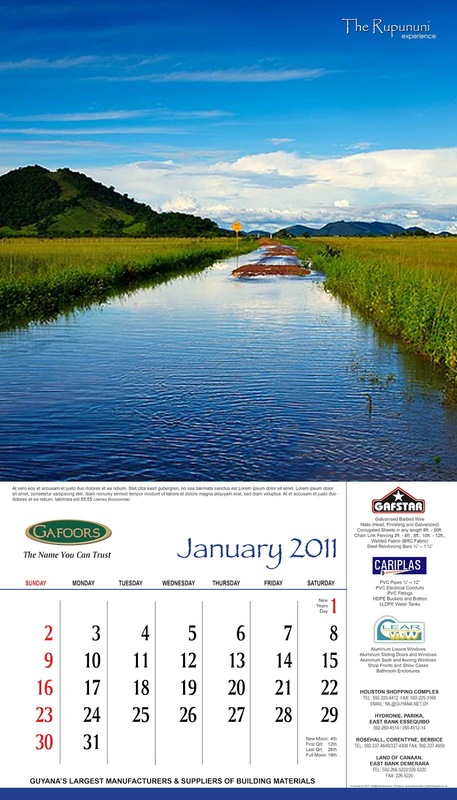 Twelve of my images from Guyana, all taken in the Rupununi during 2010, have been chosen to be used in the Gafoors 2011 calendar. Gafoors are Guyana’s largest manufacturers and suppliers of building materials. With a print run of 10,000 calendars this is probably going to make the photos on this calendar my most widely distributed photos so far. However – they’re only going to be available in Guyana… Shame! >Well if the cover is any indication, it will be a good one. I have to get one too.